While it would obviously be awesome to see new high-end smartphones like the Huawei Mate 20 Pro released with silky smooth software requiring nothing more than the occasional security patch for months on end, that’s not always possible. Bugs are often part of the early adopter experience, especially when dealing with such an incredibly feature-packed device that tries to stand out from the pack in so many different ways. The Mate 20 Pro comes with both 3D facial recognition technology and an in-display fingerprint sensor, which is undoubtedly cool but also a little rough around the edges. Luckily for owners of this Kirin 980 powerhouse, Huawei seems to think software optimizations will help improve the somewhat unpolished biometric hardware. 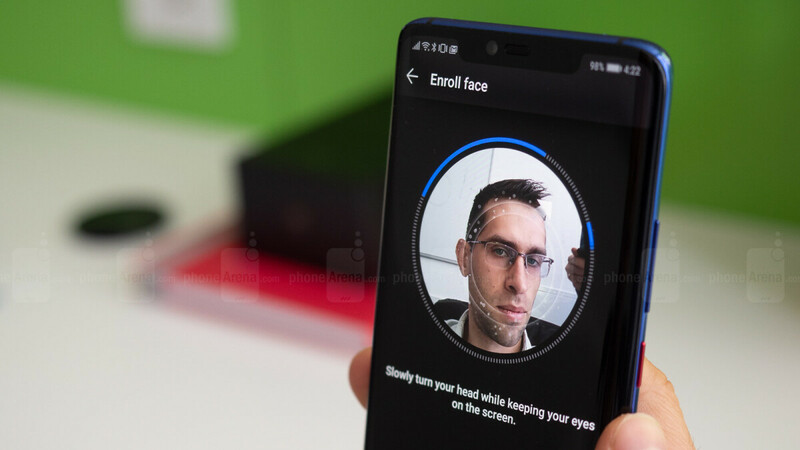 A fresh software update is rolling out as we speak in unspecified markets, primarily aiming to enhance Face Unlock performance in “certain scenarios” and deliver faster unlock speed for the in-screen fingerprint reader. That's definitely great to hear, considering our own in-depth review revealed a number of fingerprint sensor weaknesses. Nothing major, of course, just an inherent sluggishness when compared with “conventional” solutions. It’s also impressive to see Huawei send a second 500MB or so over-the-air goodie pack to an already powerful and stable phone... you still can’t buy in the US through an official retail channel. This one includes another batch of photo quality improvements and camera performance optimizations in addition to face unlock and fingerprint unlock refinements, as well as optimized navigation performance, a fix for a specific display issue, and last but not least, Google’s November security patches. No December love yet, unfortunately. This is so great to hear! I thought that the fingerprint unlock could get better with software. Now that I've had the phone over a month, it usually unlocks on the first try with my thumb. I'd say 9 out of 10 times, no problem. I'm excited to see the photo enhancements too. The best gets better. Awesome! Looking to pick up a Mate 20 or Mate 20 Pro soon. Huawei has released the best smartphones of 2018 (IMO) in the Mate 20 series. Keep up the great work, Huawei. I really like the Mate 20, but it didn't have the waterproofing, wireless charging, or best camera. I would have gotten the Mate 20X over the mate 20 though. It is huge, but I really like big phones. Thanks for input. It will help me make my decision about which Mate 20 variant to choose. Got the update on my Mate 20 Pro late last week and it has been awesome, FPS and Facial Recognition are even faster with less error. No love for the USA, not surprising. If I were them, I'd completely ditch the USA market. I've had three, love them all, but now I have to hope to find an international version to keep using their phones.